The pH-BT meter is ideal for laboratory applications such as scientific research. Contact us now for a quote and we can usually deliver a pH meter to you within 3 days! The most popular model is the pH-BT pH Meter. The pH-BT model is a benchtop pH and °C meter. This meter also features a reading stability indicator used during calibration and a measurement memory/memory recall function . pH measurements are compensated for the temperature effect manually or automatically with the temperature probe. These instruments are equipped with an easy-to-read LCD which shows both the primary reading and ºC. 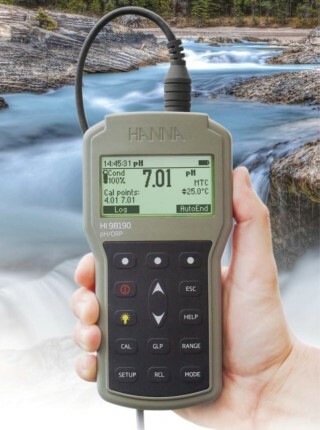 The HI-INT and HI-MULTI are portable or benchtop meters that can support pH, redox, DO and ISE sensors. The pH-BT-LC meter is an easy to use, low cost meter, ideal for students and teaching.